For much of ancient history, Europe operated on a lunar calendar. 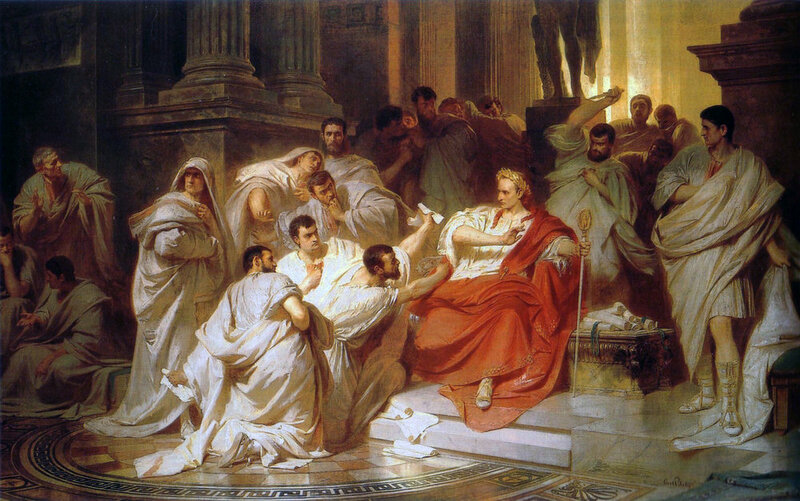 That is, until a Roman Emperor you may have heard of – Julius Caesar – decided it needed reform. Under advisement of his astronomers, Caesar decided to switch Rome to a solar calendar. The year would now be comprised of 12 months and 365 days, including a leap year. Of course, Caesar’s ego dictated that one month would now be named after him – July. Unfortunately, there was one tiny flaw. Caesar’s astronomers calculated the year was 365.25 days long. The year is actually 365.2425 days long, a difference of 11 minutes and 14 seconds. This may seem like an insignificant difference, but over centuries, the minutes accumulated to days. By the 1500s, the calendar was ten days off. The most powerful man in Europe, Pope Gregory XIII, sought to repair this error. Christopher Clavius and other intellectuals of the time advised the Pope on the steps to fix the calendar. The corrected calendar is the one we use today, called the Gregorian calendar. In addition to using a new calendar, Pope Gregory fixed the extra ten days. Now the calendar was back on the proper solar date. The Gregorian calendar was adopted by the Catholic countries in Western Europe. These countries were France, Italy, Spain, Luxembourg, Poland, and Portugal. However, Eastern Europe, the Germanic countries, and the Protestant countries resisted this change. The Eastern countries were Orthodox Christians and believed the change challenged their way of life. The Protestant countries were defiant in adhering to proclamations of the Pope. However, over the next four centuries, countries began to adopt the new calendar. In the 1600s, the Germanic Catholic countries began to adopt the calendar. They were followed by Germanic Protestant countries in the early 1700s. Great Britain and the American colonies adopted the calendar in 1752. Many Eastern European countries didn’t adopt the calendar until the 1900s. On the old Julian calendar, Christmas was celebrated on January 6th. Many groups in the U.S., including more secluded areas in the Appalachians, continued to celebrate Christmas on the 6th. They also began celebrating Christmas on the 25th. The 12 days between the 25th and the 6th became known as Breakin’ Up Christmas in the Appalachians. The 6th is also the day of the Epiphany in Christianity. The Epiphany marks the arrival of the three wise men to Bethlehem and the discovery of Jesus as the Christian Savior. Old Christmas and the Epiphany are two separate events. But both mark this day as an important holiday in Christianity. On Old Christmas Eve, communities in Appalachia celebrate with bonfires, gunfire, singing, and storytelling. It is a night of partying and good company. On this night, it is said animals kneel and pray, bees hum the 100th psalm, and elder bushes sprout and bloom. Old Christmas itself is more of a quiet celebration with family. To join in the Old Christmas celebration, come to the Museum Center at 5ive Points on January 5th, 2018. We will be celebrating Breaking Up Christmas with the Cleveland Storytelling Guild. Festivities will start at 6pm. Our special thanks to the First Tennessee Foundation for sponsoring this event and keeping the old traditions alive.